…and Prep for the Next Step! The Culinary students, under the choreographed direction of Instructor Frank Costanzo, Instructor Justin Howard and Instructional Tech Maryann Miutz, worked smart and worked fast. They had to set up, prepare, serve and breakdown an elegant breakfast buffet for over 75 high school seniors – then repeat the process an hour later. 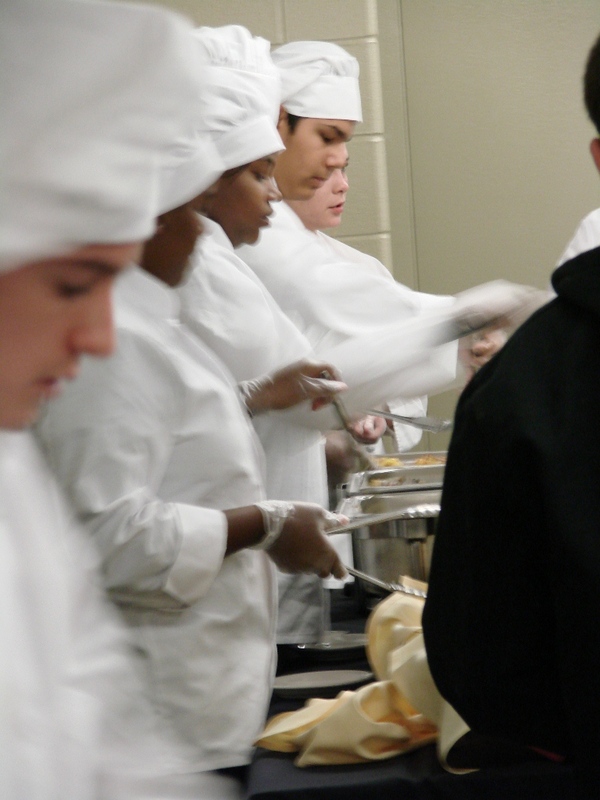 They performed admirably, because this is what they have been trained to do: the culinary students at Oakland Schools Technical Campus-Northeast are studying to work in the food service or restaurant industry, and have many hours of hands-on experience under their white chef hats. 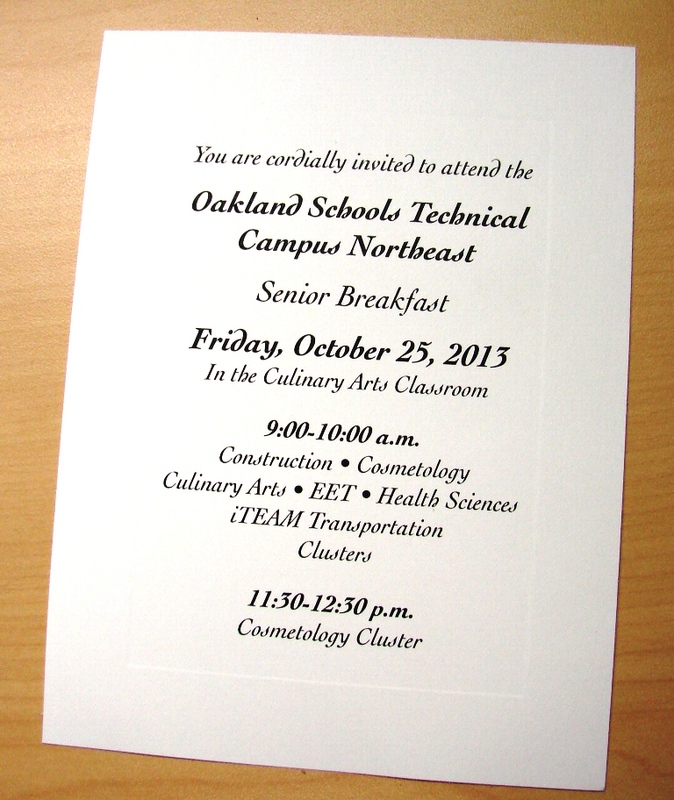 The attending OSTC-NE seniors had been invited to the special breakfast via personalized, hand-delivered invitations (created by the Visual Imaging cluster at the Southeast campus), and they appeared to be impressed with the food, place-settings and decorations. 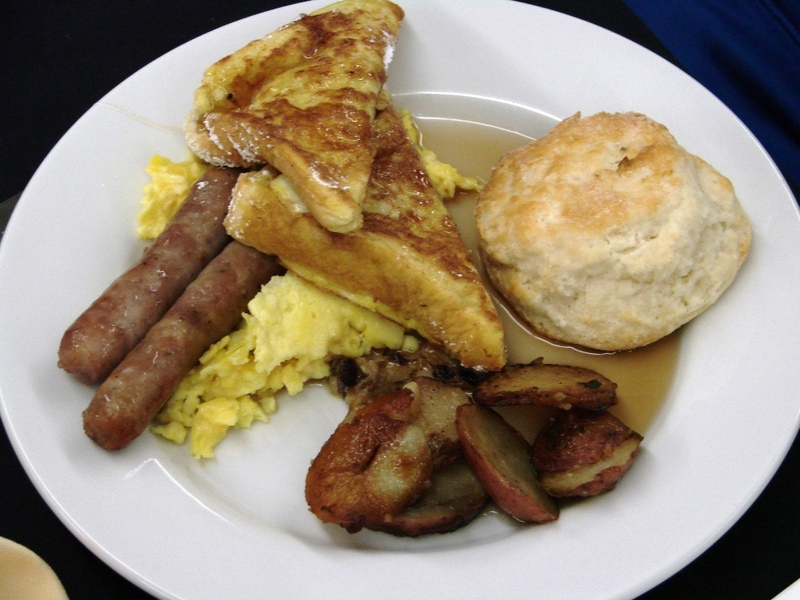 Counselor Randy Maddock, School-to-Careers Coordinator Cathryn Artley, and Special Populations Consultant Michelle Quarton designed a breakfast presentation to help graduating seniors answer that next-step question. Each student received a packet of information to help him or her understand their options, and how to achieve their goals. Mr. Maddock reviewed the “Seven Steps in Decision-making” with the students, and reminded them to “do something that sets you apart from somebody else” to build credentials while preparing to graduate. The technical campus seniors have a variety of post-secondary choices to choose from, and many graduate with college credits and/or certifications that apply to careers in the real world. “Our students go on to community college, four-year universities, trade or technical schools, the military, and into jobs they interned for during their senior year”, said Dean Galbenski. “Our goal for all of our graduates is to ensure that they progress to quality post-secondary learning. Some of our OSTC grads are paid full salaries plus college tuition while working for local companies that need the students’ skill-sets. Our North Star partnering program is a win-win for businesses and for seniors opting for college and career”. The breakfast presentation concluded with savvy advice about college essays, scholarships, financial aid and Michigan’s College Application Week (November 4-8). 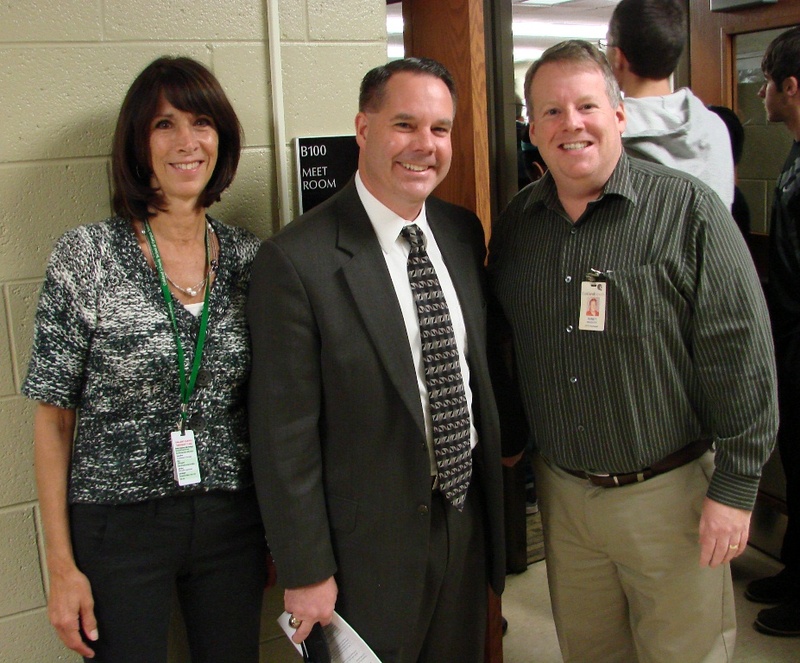 There are four Oakland Schools Technical Campuses (Northeast, Northwest, Southeast, Southwest); each offers college, career and technical education to high school students from Oakland County’s 28 public school districts, public academies, private learning institutions and home schools. Enrolled juniors and seniors spend part of their day studying at their home district and the other part actively involved in one of nine career clusters at OSTC. ← North Star: Partnering CFE with Biz for ‘Ultimate Outcome’!